Located at The Centrepoint, Roost is the first ever restaurant to cook their chicken using an automated poultry machine, or ikook, as coined by founder and inventor Alson Teo. The ikook has been in the works for 13 years with this current version being the 6th edition. Alson is now working on plans to sell his machine and introduce chicken rice to other parts of the world. 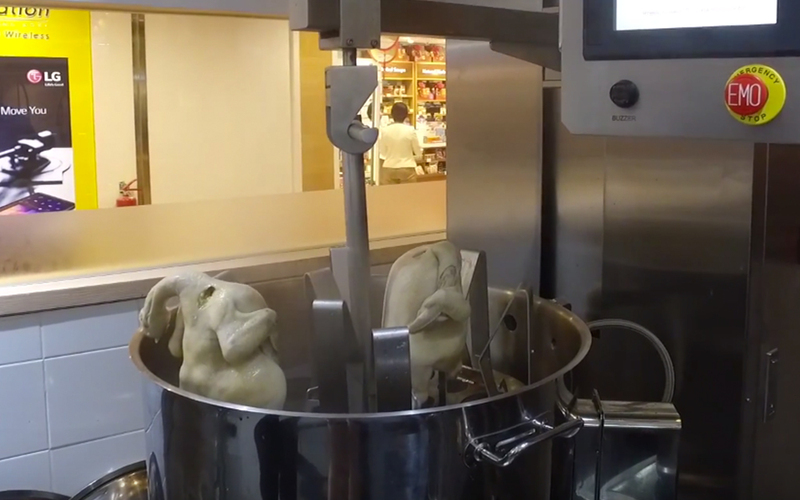 The ikook can hold up to 10 birds and cooks them in less than 40 minutes. This method of cooking not only makes the meat tender, but helps to retain the moisture of the chicken. Apart from their signature yin yang chicken rice – a mix of poached and soya sauce chicken ($8.90), we decided to try their unique chicken sushi ($4.90), chicken chawanmushi ($4.90) and crispy chicken rice balls ($4.90). 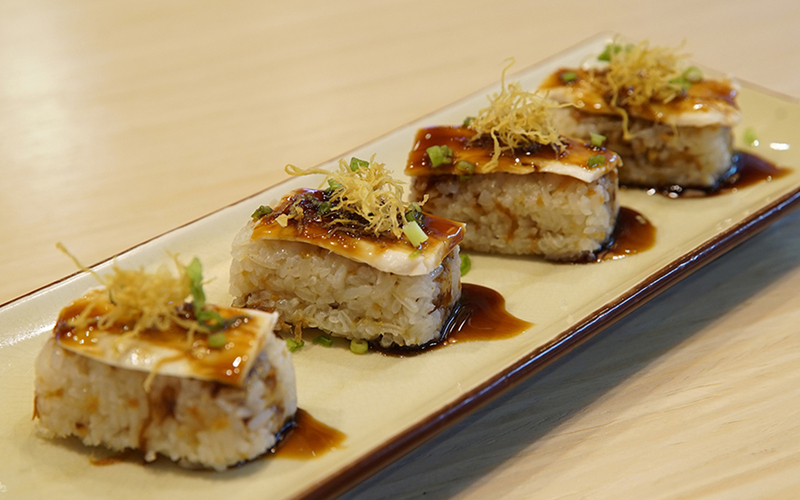 The chicken sushi had the perfect rice to chicken ratio and was a new and fun way to eat this traditional dish! The chicken rice balls were different from the traditional ones found in Malaysia and actually contained Roost chicken inside. Eat them with the chilli provided for a harmonious pairing! The Tom Yum fried rice is served together with poached chicken and a lime vinaigrette,a combination you definitely can’t find in your neighbourhood’s coffeeshop. Roost also offers healthier choices for those looking to switch up their diet! The durian creme brulee ($5.90) and Nanyang panna cotta ($5.90) are the perfect ways to end your meal. 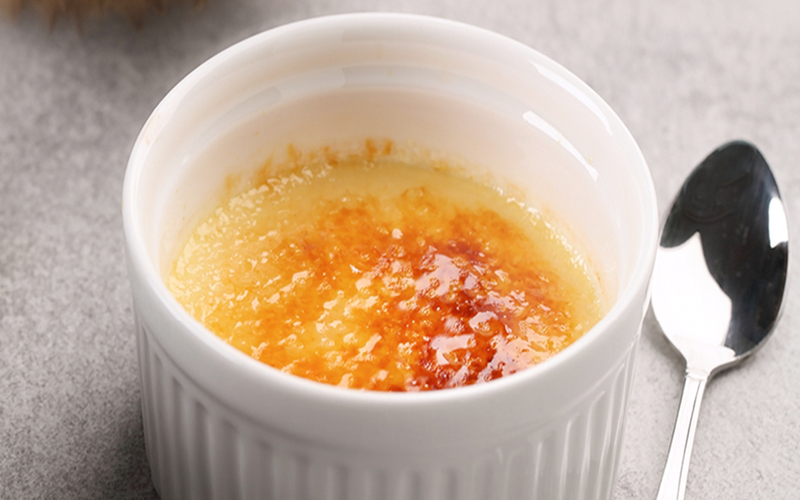 The crispy top of the creme brulee complimented the creaminess of the custard perfectly. 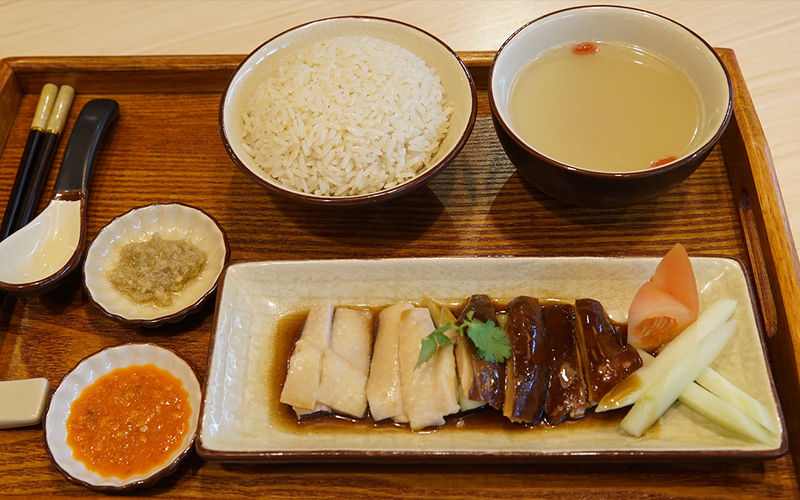 Give Roost a visit the next time you’re in the mood for a hearty plate of chicken rice!